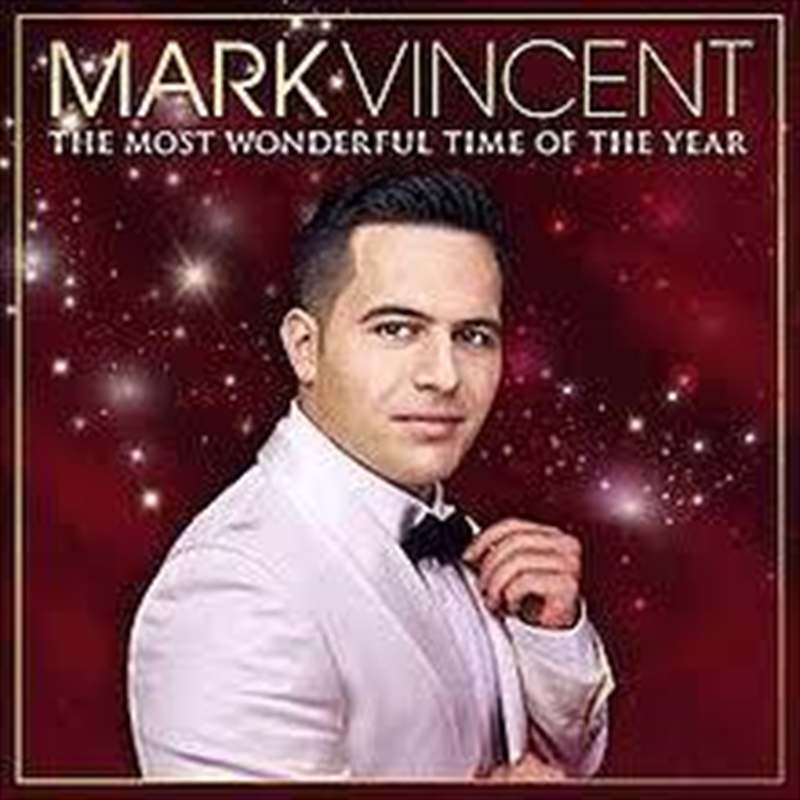 Sony Music Entertainment Australia is pleased to announce THE MOST WONDERFUL TIME OF THE YEAR, the first Christmas album from popular crossover artist MARK VINCENT. This much-anticipated album is a heart-warming and joyous collection of songs that celebrate the festive season, and includes duets with Marina Prior and UK tenor Russell Watson. THE MOST WONDERFUL TIME OF THE YEAR features the outstanding Sydney International Orchestra, conducted by long-time Vincent collaborator Chong Lim. “I have long dreamed of recording a Christmas album that captures the beautiful traditions of the festive season. Over the years these songs have brought so much joy to my family and I, and it is my pleasure to give back that same joy by making this album; it was my time to record a Christmas album, as Christmas is the most beautiful day of the year,” Mark said. The album features ‘O Holy Night’, ‘White Christmas’, ’The Holy City’, ‘O Come, All Ye Faithful’, and ‘Hark! the Herald Angels Sing’ – a collection of unmissable carols that have been sung for generations; the songs represent, peace, unity, togetherness, serenity and above all love. Singing since the age of 15, Mark Vincent has gone on to become one of Australia’s most beloved tenors, having released eight consecutive #1 ARIA Classical Crossover Albums, and having earned accolades both nationally and internationally. Vincent’s last album, A TRIBUTE TO MARIO LANZA, contains the ground breaking ‘virtual duet’ of ‘Because You’re Mine’ with the Hollywood legend. The ‘duet’ made headlines and received the patronage of Mario Lanza’s daughter, Ellisa Lanza Bregman, who gave permission for the re-recoding of the ‘virtual duet’. TRIBUTE debuted at No.3 on the ARIA Album Charts, and at No. 1 on the ARIA Classical Cross-Over Charts. The album went on to be the highest selling ARIA Classical Crossover album of 2017. Turning his focus to Musical Theatre in 2014, Mark Vincent made his debut in the Australian production of ‘Dirty Dancing’, which played 130 shows around the country. In June 2016, Dame Julia Andrews, DBE cast Mark in the role of Freddy in her production of ‘My Fair Lady’, which toured nationally with Opera Australia.